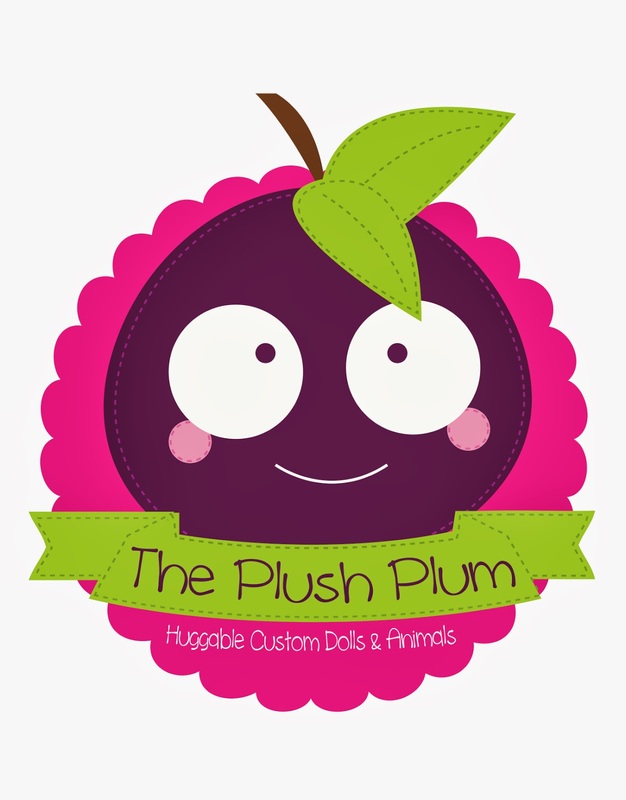 We are so luck to have Lani from The Plush Plum visiting our blog today! 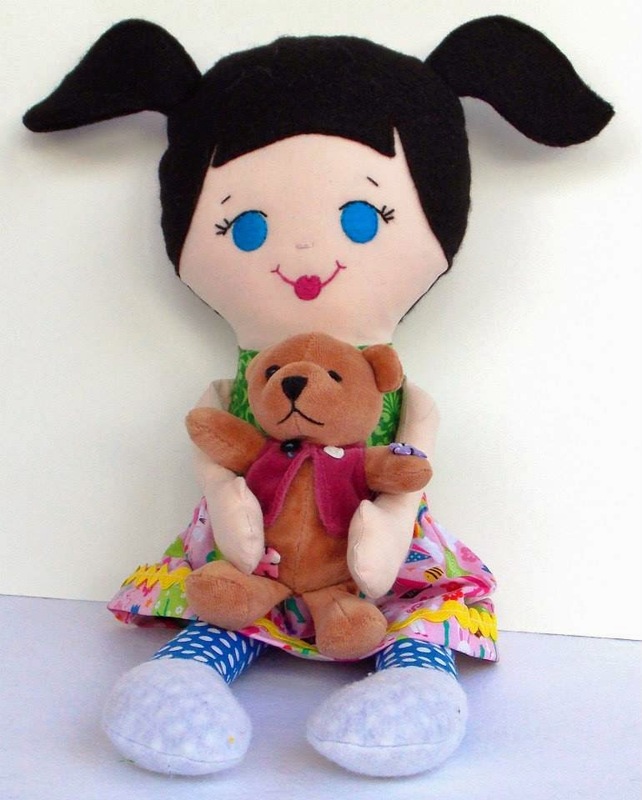 She makes the most huggable, lovable, adorable... and did I mention customizable dolls and animals. You can find her HERE on facebook! 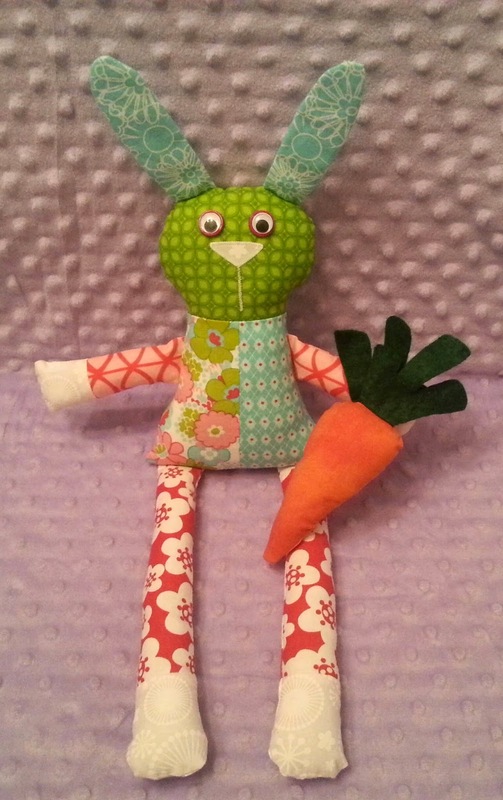 Hi, I'm Lani, creator of adorable, huggable little friends at The Plush Plum! All my life I have been fascinated by dolls, stuffed animals and miniatures. I have been sewing for roughly two years. The first year I spent most of my time learning how to sew and making odds and ends. But nothing really popped out at me or made me want to continue making the same thing over and over. Then, one day I made a stuffed animal for a swap group and was instantly hooked. Next I tried my hand at a doll. I was completely hooked after that. I had finally discovered that my true passion lies in making stuffed dolls and animals, for children and adults alike, to love and cherish. That is when the birth of The Plush Plum came about. I created and opened my business in July of 2013. 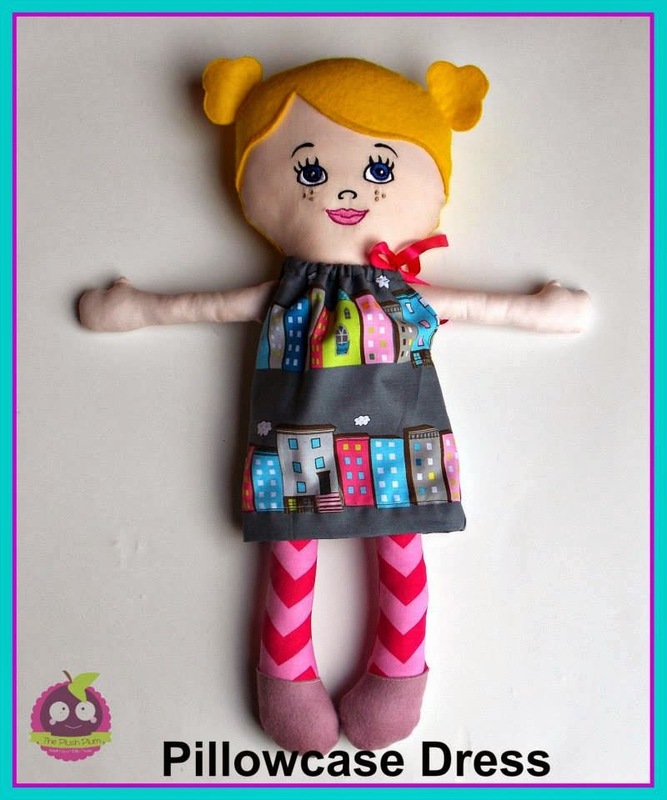 Not only do I create one-of-a-kind, ready to sell dolls, but my customers can also choose from a huge variety of fabrics - prints, solids, and a rainbow (and then some!) 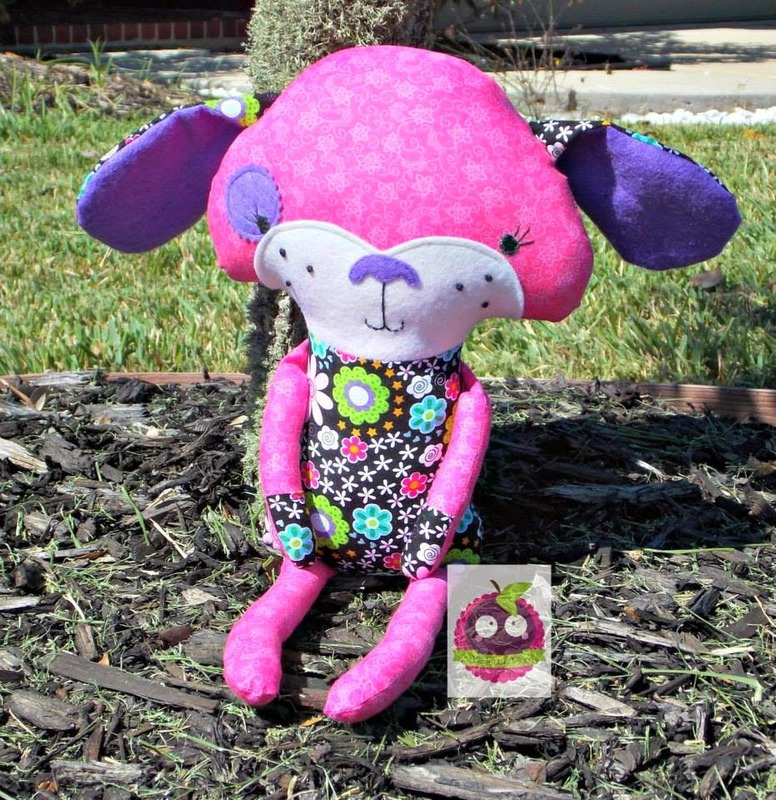 of colors - to customize their own Plush Plum friend! Whether it's a character-inspired friend or a look-alike, there are options to please every child. It hasn't quite been a year yet, but during this time I have worked hard to bring my passion and love of dolls and toy animals to my customers. My goal with The Plush Plum is to continue doing what I love, and to grow as a person, seamstress, and business. I will continue to make each doll as unique and precious as the little ones who love them. I can't get enough of these big blue eyes and ponytails! Another one of my favorites. So sweet. Not only can you customize the doll, but you can buy changes of clothes. Here's one in a pillowcase dress that is sooo fun! Love all the different prints. Easter next year maybe? Even more clothes options. 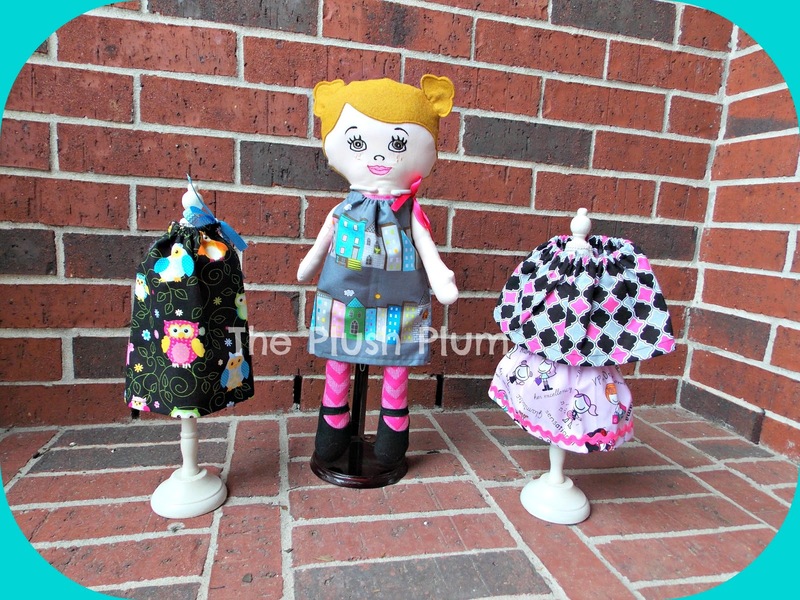 Pillowcase dresses and skirts. What little girl wouldn't love that? Go check out all her fun designs, prints, and ideas HERE to customize your own. Newborn Bibs - Free Pattern!